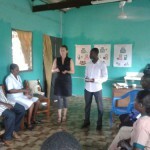 In 2013 the World of Difference program, founded by the Dutch Vodafone Foundation, enabled four young professionals to work for one year on a health project in Ghana. 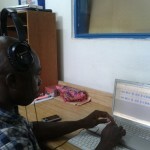 This project is a cooperation between Vodafone Netherlands, the Dutch NGOs dance4life, IICD and the Ghanaian NGO ACDEP. 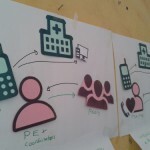 Community Health Specialist Lotte Bierhuizen, IT specialist Gerhard Brink, Communication Specialist Nieke Kempen and Online Specialist Kim Nooij worked on a health program to educate and inform adolescents about sexual reproductive health (SRH) through mobile phone technology (mHealth). 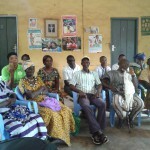 Based in Tamale, the NGO capital of Ghana, the focus is on youth in the rural areas of the Northern and Upper East Region. Due to a lack of information on sexual and reproductive health teenage pregnancy and STIs are a common problem. The young professionals had to develop a program to inform these adolescents by using mobile technology. As 100.41% of the Ghanaian people (many Ghanaians own multiple SIM cards) own a mobile phone, this is a perfect communication tool to connect with the target group. 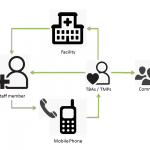 Kim Nooij, in her role as a online specialist, zoomed in on a specific topic of the health program: increasing the knowledge among traditional birth attendants and traditional medicine practitioners. These people, are often in their fifties, enjoy great respect and are the first point of contact for people living in the villages with health concerns. It is therefore of great importance that the knowledge of these people remains up to date and is not inconsistent with the methods and treatments being used by clinics. However, these TBAs and TMPs are not always literate, live far away from health facilities and have limited access to transport by car or motorbike. Having a mobile phone and receiving a weekly voice message with new context specific information seemed to be an interesting intervention. 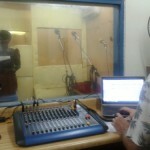 Nooij assisted in the distribution of mobile phones, development of content, recording the messages in local languages and scheduling the messages using an online platform. After two months of testing the feedback has been diverse. 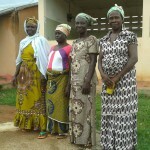 Some did not receive the messages due to poor network coverage while others shared information about danger signs during pregnancy with many pregnant women in their community. 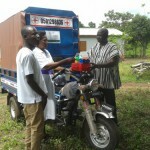 Despite the various learnings for the project team and an ambitious strategic plan for 2014 whereby all technical setbacks are resolved, an unexpected outcome was that many of the beneficiaries felt grateful for finally receiving recognition for the work they had been doing for years, being ignored by the government.